Jennie has had some great sketch challenges on STV this month. Her sketch for this week is shown on the right. I had fun doing this card using some of my new ink pads that Santa brought. 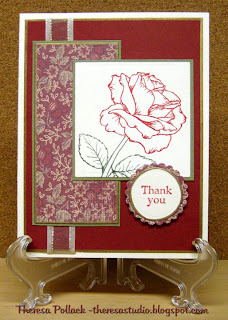 I stamped the rose with SU Ruby Red and SU Always Artichoke on ivory CS. I decided not to color in the images. 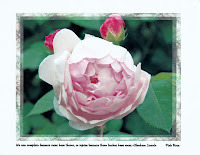 I like the simple look of the rose. I layered the image on a mat of green CS. I used a patterened paper matted on green for the rectangle mat. I cut a circle of ivory CS with nestabilities and stamped "Thank You" which I then matted on a scalloped circle ( also cut with nestabilities) of the patterned paper. Starting with a base card of ivory CS I added another mat of red CS that I edged with gold and layered with a ribbon. I assembled the card as shown. Result was a Thank You card that I might send to Santa for all of his great gifts. 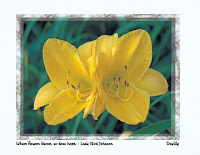 Thank You- GKD "Tropical Flowers"
It is great being able to do these challenges again. Hope you enjoy seeing them. I enjoy hearing your comments. 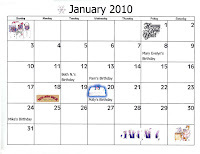 I did not have time to check out Kalleigh's templates ( close to deadline for posting) so I used one that I found and downloaded sometime ago from this blog of Mel's. 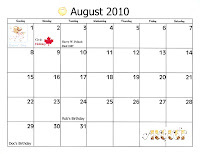 She has a great many templates to check out. I embossed the blue CS before I cut out with the template. I cut out the circles to make the handles. This was not part of the original template. Assembled the bag and embellished with a paper rose that my friend Rita made and gave me. 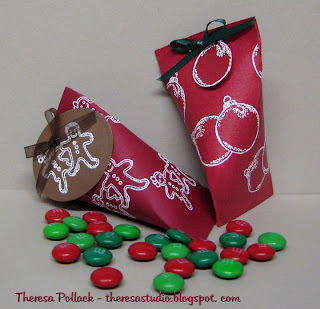 I added a stem of green rafia, a bow of green ribbon and some ribbon around the bag. 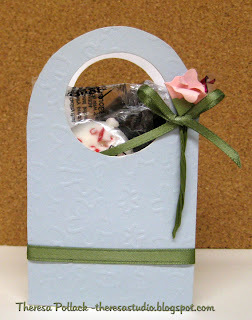 This is a very simple gift bag but it can be made more elaborate with more embellishments. Filled it with candy to share with you. Have a piece of candy while you are visiting! Trying to meet the deadline for Challenge 12. This week's challenge at CCS is to use your favorite technique. This could be embossing or coloring medium, etc. 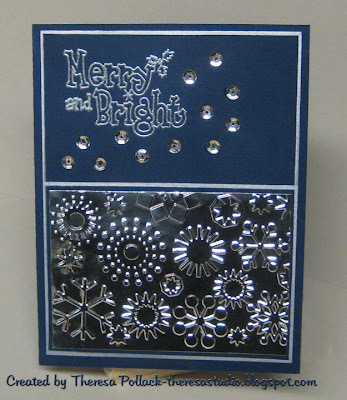 I love dry embossing with folders especially the CB folder Swiss Dots. I combined this with another fave - coloring with Pencils and OMS. 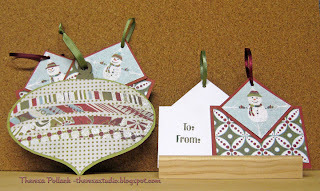 Starting with a white CS base, I attached a red mat embossed with Swiss Dots. 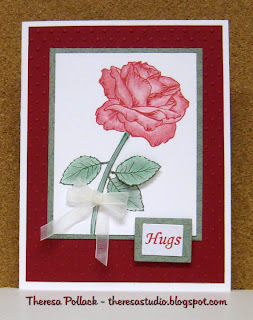 I stamped the rose with stem and petals and colored with pencils and OMS. 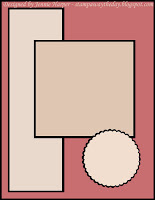 Cut the image with nestabilities and matted on green PP. Stamped and colored another leaf and added with a dimensional. Attached a sentiment and mat that I also cut with nestabilities. Finished with a bow of organza ribbon. Hugs to all who stop by! 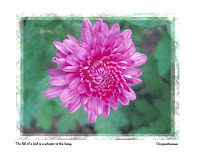 I love the challenges at There Is Magic In The Air. This week Danielle had a challenge to use the image "Merry Moose-mas" and her fabulous sketch shown below. 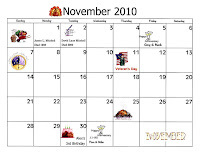 Click here for the digital image. 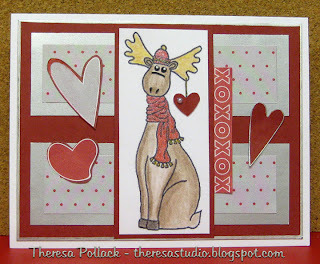 Made my card using more of a Valentine theme than Christmas...will have to rename the Moose "Valentino"! 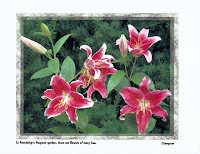 Used white CS base, matted with red CS edged with silver. Added rectangle mats of silver with mats of dotted paper. Colored Valentino with pencils and OMS. Used glitter pens on his hat and scarf. Added hearts and sentiment (XO's) cut from patterned paper scraps. Attached a pearl on Valentino's heart hanging from his hat! 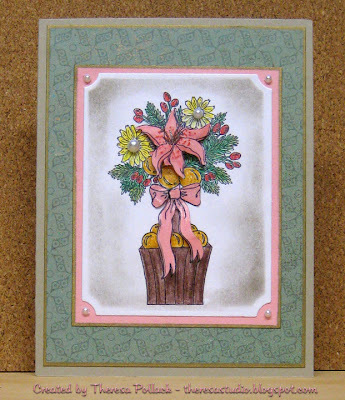 No stamping on this card since I used the patterned paper and digital image. Thanks for taking a look! Guess it is a bit early to wish you Happy Valentine! Card Base- 4.25" X 10", scored at 3", 4", 5" and 8"
I used a Valentine design patterned paper from my stash and cut from the design to create this gift card according to the measurements listed above. Check out the video on STV for all the instructions. I am showing the finished gift card holder with a ribbon and heart cutout from the paper that I used to keep card closed. The other photos show the opened gift card holder with and without a gift card. This is a great gift card holder idea for any occasion. Paper unkown source ...purchased at Joann's last year. Used Pure White Gina K CS as base card and edged patterned paper on the outside of the card with a Pilot Silver Marker medium point. 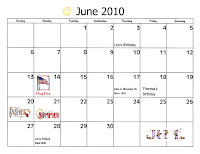 Hope you might use this to make your own gift card holder! Santa Was Really Good To ME! Hope everyone had a great Christmas! Mine was awesome...Santa brought me a Scor-Pal with all the extras and a Stampin Up Ink Caddy filled with SU inkpads for my studio!!! WOW! And so many other lovely things. Thank you, thank you Santa! I hope he reads my Blog. LOL! Have to send him a Thank You Card! Today, I did some of the STV Challenges that were posted this week. First one was the color challenge by Tiger Lily who challenged us to create a card with just black and white for the week's color challenge. And I have all these new colors in inkpads I'm just dying to try!!! Well, there are others cards to be made. Since I am thinking of the beach where we will spend 6 weeks beginning the end of January, I decided to do a beach scene for this card. 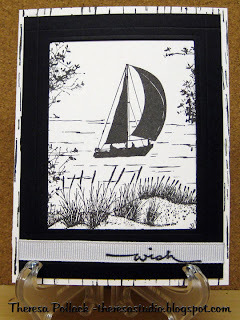 Stamped white CS with sailboat and sand dunes in black, of course. Masked these images and stamped in waves and branches on each side. Framed the scene with black CS in which I cut an opening with nesties. Attached the frame over the scene with Scor-Tape from Santa and added ribbon on which I stamped a sentiment. I stamped the front of the white base card with the "wave" stamp which I used vertically to create a background. Like the way this came out. Can't you just feel that ocean breeze??? Thanks for stopping by. Was Santa good to you too? 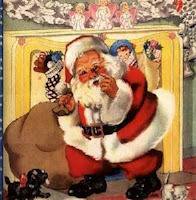 A Crafter's Poem-Twas the Night Before Christmas ! "Twas the Night Before Christmas "
'Twas the night before Christmas, I'm glued to the tree. "Or Copics?" I said, with a smile on my face. And that's when I heard him. "Hi Santa!" I said. He said "You know....good little girls should be in their beds." I hope my DH(Santa to me) does not think the same. 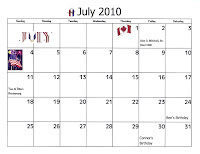 Sorry I have not posted the last few days but I have been busy with last minute preparation for the holiday. 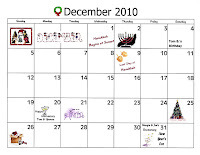 Santa has been dropping presents under the tree all week ...can't wait to see if he brings any stamping supplies. LOL! 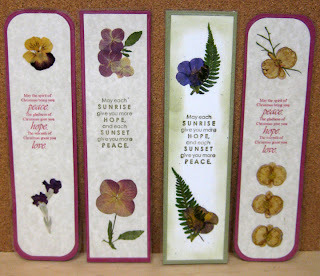 Want to share with you these bookmarks that I made. Stamped verses on CS cut 8.25" x 2". Mat cut 8.5" x 2.25". 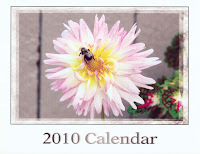 Flowers were picked in my garden last summer and dried. 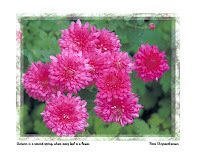 I attached the the flowers with white craft glue on light color CS and matted on darker color CS. The back says "Made with Flowers from Theresa's Garden". 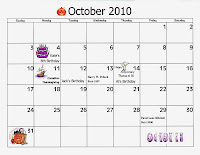 I laminated with xyron double sided laminate. Should have made photo of back but rushing to post. we all are and stamping time is hard to find. I made something different --not a Christmas card. I have this Basic Grey paper that I have never used so used that as my inspiration. 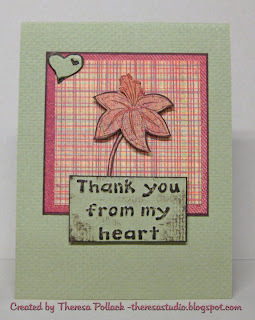 Using a green textured cs as the base, I cut 2 mats from patterned paper and edged the larger one with a brown marker. 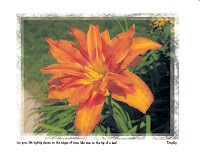 I stamped the lily on a third pattern and cut out and highlighted with a brown marker and a glitter pen. This I attached with dimensional to the mats. I embossed scraps of the green CS with a Sizzix embossing folder and cut out the sentiment and rubbbed with brown ink to bring out the letters. 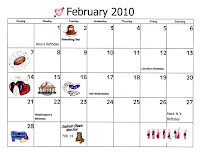 Also cut out the heart which is part of folder. I added these to the card with glue dots. All finished and I have a Thank You card ready to send. 3) Make sure to add a tag! 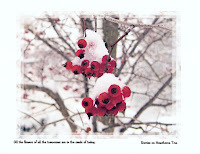 I used red cs and stamped images with white pigment ink and heat embossed with Snowflake Embossing Tinsel. 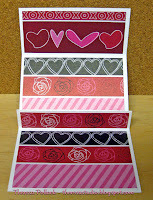 From this paper, I made my containers and used the same stamps for my labels which I tied on with ribbons. Made mine simple but you could add more trim, etc. Great to use for candy treats or for money tips! 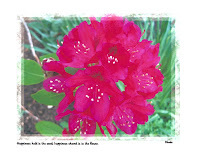 Make a bunch and hang on a tree or keep on hand for anyone who stops by. Help yourself to some M&M's for stopping by! Laura will also be giving away a new release to one lucky commenter from one of the blog comments, so be sure and leave a comment at each stop. You just never know whose blog will be picked. You can look for the announcement of the winner over on the Creative Clear Stamps Blog: A Fairy Creative Place. 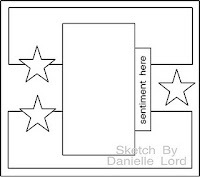 Laura asked us to participate by creating a project using our favorite Creative Clear Stamp set. They have some of the neatest stamps and are so fun to "create" with. I am using 2 of my favorite Creative Clear stamp sets: Verses from "Holiday Sentiments" and the Tree Stamp from "Let it Snow". I used a red textured CS for the base and topped with a striped mat. 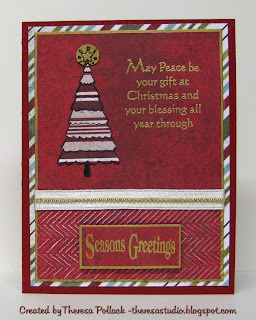 I used red patterned CS for the top mat which I embossed the lower part with the Cuttlebug Herringbone folder. I stamped the tree on a stripe pattern and cut that out and stamped the tree again on gold paper for the tree topper. I attached the tree and stamped the verse to the right of the tree with versamark and heat embossed with gold EP. 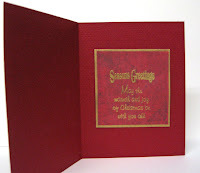 I stamped "Season Greetings" the same way on scrap paper and edged the rectangle with gold pen. Attached this with dimensionals. I edged the red mat with gold pen and then added a white ribbon with gold beads and assembled the card. I finished the inside using another verse stamped with versamark and gold embossing. Stamps: Creative Clear Vision "Holiday Sentiments" and "Let It Snow"
There's Magic in the Air has a beautiful free digital image this week. Download here. Selma challenged us this week at TMITA to use their week's image "Christmas Arrangement" and she also wanted us to "Glitz It Up"!! This was a great image to work with. 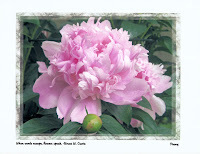 I printed the image on white CS and then printed again on pink CS. I colored the image using pencils with OMS and used orange gold glitter pen on the "oranges" and cranberry glitter pen on the pepper berries. I cut the lily and bow from the pink CS images. 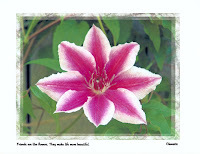 I colored the dots and stamen on the lily with a glitter pen and used a glaze pen on the bow and attached with dimensionals to the colored image. 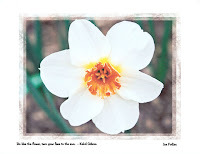 I cut the image with a Nestabilities and sponged with a gold ink pad. I mounted to a pink mat. I edged the pink mat and green patterened mat with gold pen. Added pearls to the flowers and corners of the pink mat. Used soft sand CS as the base card. Love the softness of the look that came out. Hope there is magic in your holiday season. This week Jennie did the sketch at STV. 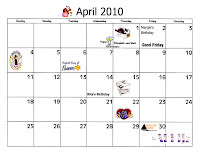 She took into consideration how busy everyone is so she did one that could be done according to the time that you could spend. Thanks, Jennie! 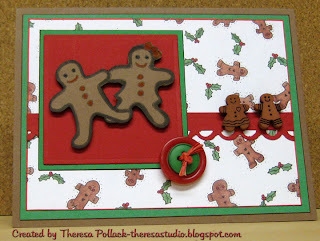 I stamped gingerbread people onto brown CS scrap and colored it and cut it out to mount on a red mat on top of a green mat. I used a brown base CS which I layered with a green mat and a mat of patterned paper to which I added a strip of red CS that had been punched with a border. I then attached the gingerbread mat and buttons tied with raffia and 2 happy gingerbread buttons to finish the card. A fun and easy card! Thanks for stopping by. Have you baked any gingerbread people this holiday? I have missed doing the challenges over at Jugs so I made time for one today. 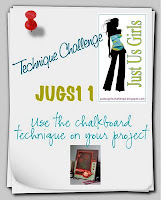 For week #11, Just Us Girls had a simple technique challenge with no fancy catches....this week's challenge was the Chalkboard Technique! You can learn this technique from the video at Splitcoaststampers by clicking here. I found it to be quite easy and quick. 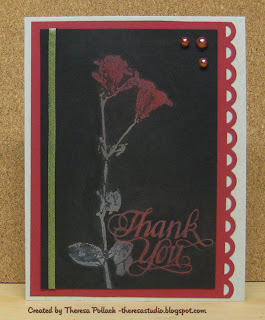 I stamped a flower and sentiment using white pigment ink on black CS and sponged with red and green chalk. I then rubbed off the excess with a paper towel. Added pearls and ribbon. I finished card by matting on red CS that I punched with a decorative edge and attached to a light sage green base. So easy. Thanks for taking time to stop by. Have you finished your Christmas shopping? Finished mailing the last of my packages. STV "Anything But a Card Challenge"
STV has changed some of their challenges. They have added "Anything But a Card Challenge". Carolina's challenge was to make a set of four tags - they can be four of a kind or all different. You get an extra bonus if you make a holder for them. I did this simply by using some printed paper. 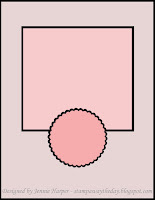 I cut rectangles of circle design paper and placed on mats of red CS that is white on back. Cut squares of snowman design also matted on red CS and attached to rectangles which I stamped "To" and "From" on the back. Punched holes and added ribbon. For a holder for the tags I used a printed ornament in coordinated colors matted on green CS and made a pocket by adding solid CS to the back leaving the top opened so tags slide in. Added ribbon in the "hook"....now the holder can hang on the tree after tags are used. Now if I can just get some presents wrapped to use my tags! 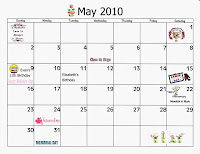 I am trying to get back into a routine of stamping and blogging. Will start with some STV challenges. Last Monday 's color challenge by Shannon was to create a Blue and White card. I used a medium blue CS for base. I used a white glittery CS for mat. 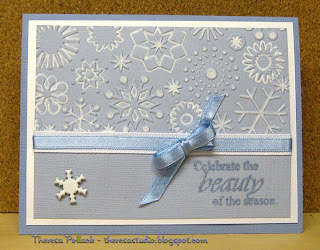 I embossed the upper part of the lighter blue CS with CB Snowflakes and highlighted the design with Inkessentials white opaque pen. Stamped the sentiment with versamark and heat embossed with white pearls EP.Added snowflake brad and white grosgrain ribbon layered with blue satin ribbon and bow from my stash. 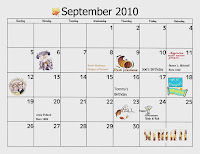 Great Blog Hop to Check Out! 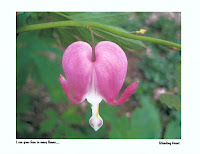 Just had fun hopping through this Recipe Blog Hop at There's Magic in the Air. The secret sentence is "Paper cupcakes where the main ingredient is love"... 3 of my blogger friends are participating in this hop - Olga, Patti and Selma! 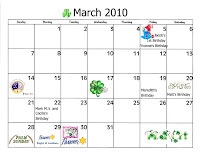 Check out the great recipes and all the great projects! Front cover above left and back cover to the right. Click on images to enlarge to see details.